Below is a list of affirmations I say daily. Affirmations allow God, the Ascended Masters and Angels to come into your life and help you. 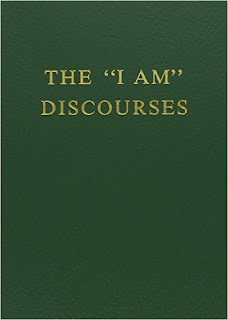 The first set are from various sources and the second set is from Saint Germain's "I AM" Discourses book (I AM Discourses Volume 3 - Guy Ballard - Amazon.com ). I am willing to forgive the past. It is safe for me to move beyond my parents limitations. <Name> -- I forgive you for NOT being the way I wanted you to be. I forgive you and I set you free. Archangel Raphael, please surround me with your healing light, dissolving all bonds to fear-based thought patterns. Please wash all of my former fears away. Good morning, this is God. I will be handling all your problems today. I will not need your help. Have a great day! Good morning, this is God. I am paying your wages today. I know how much you want to earn each month and I am paying up joyfully. You are worthy of your hire. Enjoy the money and have a great day. Divine Order is now established and maintained in me and in my world. I am now guided into my true destiny with true people and true prosperity. The walls of lack and delay now crumble away and I enter my promised land under grace. I am happy, healthy, wealthy and wise. All is well in me and in my world." I give thanks for all my blessings which are countless and constantly increasing. I give thanks for a quick and substantial increase in my financial income now. I bless my world now and give thanks for the wonders I see before me." I am willing to forgive all that has offended me; I release, I let go. I let go and trust. All that has offended me, I forgive. Within and without, I forgive. Things past, things present, I forgive. I forgive everything and everybody who can possibly need forgiveness now, including myself. We are all free now. I am fully open and receptive to all the good and abundance the Universe has for me now. I am receiving only good, only love, only health, only wealth, only true abundance. I have wonderful work in a wonderful way; I give wonderful service for wonderful pay. “The LIGHT of God surrounds me; The LOVE of God enfolds me; The POWER of God protects me. Corns - I move forward free from the past. I am safe. I am free. My spiritual fire is transformed into my Higher Self. I AM everything I always desired to be. Discordant Activities: 'I AM' the Presence preventing this. 'I AM' the positive peaceful control of this whole situation. 'I AM' the Conquering Presence, commanding Peace, Love and Harmony in my home and environment. Through the Power of the Electronic Circle which I have created, 'I AM' no longer touched by any doubts or fears. I joyously grasp the Scepter which 'I AM' and step boldly forth into any of these Higher Spheres that I wish, retaining perfectly clear conscious memory of my activity there. 'I AM' the Commanding 'Presence', the exhaustless energy, the Divine Wisdom causing my desire to be fulfilled. 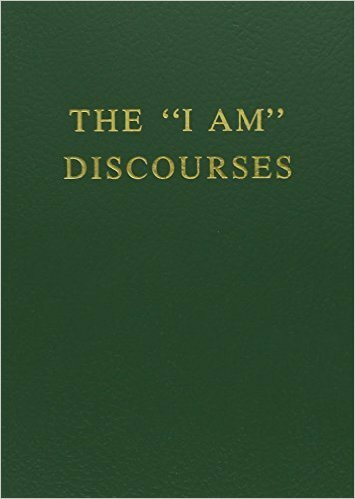 Reappearance of trying experiences: 'I AM' the strength, the courage, the power to move forward steadily through all experiences, whatever they may be, and remain joyous and uplifted, filled with peace and harmony at all times, by the Glorious Presence which 'I AM'. To forgive a loss of wealth: 'I AM' the Resurrection and the Life of my business, my understanding or whatever thing I wish to focus my attention on. Abundance: 'I AM' the wealth - God in Action - now manifest in my Life, my world. Abundance: 'I AM' the wealth, the opulence, the substance, already perfected in my world, of every constructive thing that I can possibly conceive of or desire. Complete forgiveness of another: I send to you the fullness of the Divine Love of my Being to bless and prosper you. Water Blessing: 'I AM' the Presence charging this water with Life-giving Essence which I absorb and which renews my body in Perfect Health and Eternal Youth. 'I AM' Here and 'I AM' There. 'I AM' the Conscious Action everywhere.